new Bajaj XCD Sprint 135cc DTS-Si launched with a the own patented DTS-Si technology of Bajaj. Bajaj XCD Sprint 135cc DTS-Si launched with a 135cc 4-stroke, air-cooled, DTSi engine with a 5-speed manual gears that produces 10.5Bhp power. 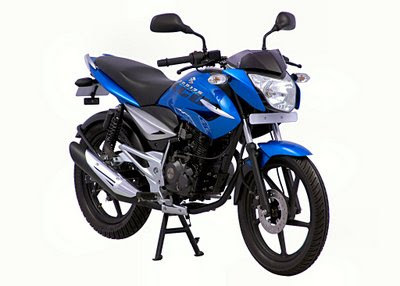 The new Bajaj XCD Sprint 135cc DTS-Si will be available in the highly competetive price of Rs. 45,000 (as ex-showroom price). From the Aurangabad based manufacturing plant of Bajaj Auto Ltd. in Maharashtra, the first batch of the Bajaj XCD 135 DTS-Siwill be rolled out. However the subsequent production will take place in Bajaj's Pantnagar manufacturing plant in Uttarakhand. Bajaj Auto Managing Director, Rajiv Bajaj said that, the company also has plans to export its bikes from April this year. Until the start of the export process Bajaj XCD Sprint 135cc DTS-Siwould be sold in the domestic market, Mr. Bajaj added. He also said that, the Bajaj XCD Sprint 135cc DTS-Si launch would fill the vacuum of Bajaj Auto's portfolio between the low-end and high-end motorcycle markets. Bajaj Auto will launch the most-awaited Kawasaki Ninja 250R in the mid of this year. The two other models, which will jointly developed by Bajaj and Kawasaki, will be launched next year.